Bon Jovi needed more medicine than prayers when it cut its Pittsburgh concert short because the band's namesake blamed a cold for his sore throat. The group was performing at PPG Paints Arena Wednesday night when Jon Bon Jovi told the audience he has had a cold since Saturday night. But he said he would keep pushing on. The Pittsburgh Post-Gazette reports he also said: "This is the day when I need a karaoke singer. Which one of you guys in a bar band knows all the words to Bon Jovi songs?" He sang "Bad Medicine" and wrapped things up after 90 minutes of the expected two-and-a-half hour show with "Livin' on a Prayer." The band is scheduled to play New York's Madison Square Garden on Friday. 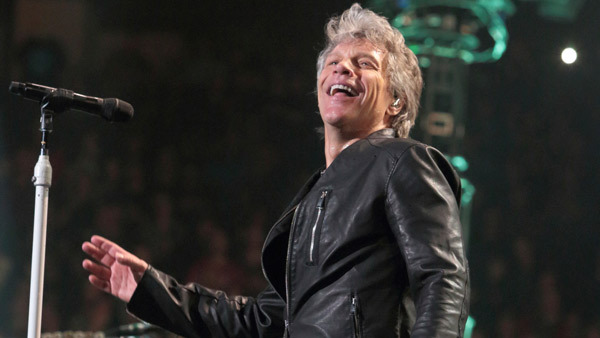 Bon Jovi performed in Philadelphia last Friday at the Wells Fargo Center.